Nonprofit, depression2extinction, moves start date of The Ultra 50 Expedition to raise awareness for the stigma of depression and suicide prevention beginning Sept. 1, 2019. Austin, TX, February 23, 2019 — Depression2Extinction, a non-profit on a mission to eliminate the stigma of depression and anxiety disorders through movement, mindfulness, & human connection, announced today Founder, Jeff Jackson’s, Ultra 50 Expedition. 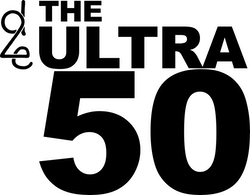 The Expedition includes running an Ultra Marathon of 50K or longer, in all 50 U.S. States, in 50 consecutive days. A feat that has yet to be accomplished. Starting on September 1, 2019, Suicide Prevention Awareness Month, JJ and the d2e team are setting off to complete The Ultra 50 Expedition in order to bring greater awareness to the stigma behind depression and anxiety. This expedition is an opportunity to bring awareness to this stigma and share with students, teachers, and parents the simple, yet profound tools to help better understand their emotions. With d2e’s primary tool, The Check-in Process, thousands of people across the country have received support and connection. The Ultra 50 Expedition will help bring our community together in order to build more leaders of change. Depression2Extinction is a 501(c)(3) charitable organization with a commitment to eliminate the stigma of depression and anxiety disorders. We’re are proactively in providing students, teachers, & parents with the tools necessary to better understand their emotions and more easily connect with themselves and others. We believe that through movement, mindfulness, & human connection the world can combat the core issues around depression and anxiety, offering more tools for a positive approach to mental health. Join the larger mission and help eliminate the stigma of depression and anxiety disorders. For more information, or to book your HEAL Kids school or community training, please visit www.depression2extinction.org. Also visit us on Facebook, Twitter, and Instagram.